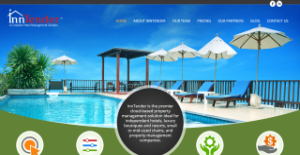 Inntender is a leading cloud-based property management software for hotels and accommodations of all sizes. The solution provides property owners and managers with tools that enable them to offer convenient online booking to potential guests and customers. With Inntender, hoteliers gain full control over their operations. The application’s navigable user interface allows users to get to their required tool or feature in just one to two clicks. This lets them perform more tasks and takes them where they need expediently. Moreover, Inntender offers integration support for various channel management solutions, CRM software, POS systems, payment processors, and more. This expandability allows properties to manage various aspects of their business from a single platform. With Inntender, customer booking is made easier. The application seamlessly integrates with a property’s website to provide convenient online room reservation for potential guests. This makes the booking process faster and more efficient for both the customer and the hotel. With this, accommodations are able to expend less energy in managing and taking customer reservations. Additionally, Inntender’s two-way integration with channel managers allows hoteliers to oversee hotel bookings in different avenues from one screen. This makes reservations management more efficacious as relevant data are easily accessible via the application. Inntender offers in-depth analysis and reports regarding accounting, reservations, housekeeping, and accommodation maintenance. This allows property owners and managers to make informed decisions regarding issues and enables them to swiftly address concerns they may encounter. With Inntender, hoteliers can take their management wherever they go. The software is also a mobile solution that works with tablets and smartphones as well as portable personal computers. This enables users to be more productive as they can respond to business matters even while they are out of the office. Inntender has a flexible pricing scheme. With this, it is the guest that pays for the solution and not the property itself. On top of that, they only pay for what they use. Additionally, Inntender’s capability to integrate with third-party software saves the property valuable financial resources as they do not need to transition to other products that will fit their current workflow. With Inntender, property owners and managers that they and their staff receive top-notch training during the transition process. Afterward, they have access to great customer service throughout their subscription to the application. If you are interested in Inntender it might also be beneficial to analyze other subcategories of Best Hotel Management Software gathered in our database of SaaS software reviews. Every company is different, and can call for a special Hotel Management Software solution that will be designed for their business size, type of customers and employees and even specific industry they cater to. You should not count on finding an ideal app that will be suitable for each business no matter what their history is. It may be a good idea to read a few Inntender reviews first and even then you should keep in mind what the software is supposed to do for your company and your employees. Do you need an easy and straightforward service with only basic features? Will you really use the advanced functionalities required by experts and big enterprises? Are there any particular tools that are especially beneficial for the industry you work in? If you ask yourself these questions it is going to be much easier to get a trustworthy service that will match your budget. Inntender offers tailored enterprise pricing plans to interested parties. Quotes can be requested via the website’s contact form or by phone. We realize that when you make a decision to buy Hotel Management Software it’s important not only to see how experts evaluate it in their reviews, but also to find out if the real people and companies that buy it are actually satisfied with the product. That’s why we’ve created our behavior-based Customer Satisfaction Algorithm™ that gathers customer reviews, comments and Inntender reviews across a wide range of social media sites. The data is then presented in an easy to digest form showing how many people had positive and negative experience with Inntender. With that information at hand you should be equipped to make an informed buying decision that you won’t regret. What are Inntender pricing details? What integrations are available for Inntender? Inntender supports integrations with channel managers, CRM solutions, credit card payment processors, POS systems, and loyalty programs. If you need more information about Inntender or you simply have a question let us know what you need and we’ll forward your request directly to the vendor.